Once the page loads, look for the Profile Path field where it will indicate the user folder associated with the profile. Copy this path and save it for future use or you can copy and paste the path in Windows Explorer Address bar to open it directly. Note: If there is only one Profile that is being used in the computer then it will read Default. This information is important especially when one of your Chrome profiles becomes corrupted. You might choose to delete the profile and create it fresh to fix the problem and in such a case, it’s always good to know which folder to delete. Additionally, you can use the information to manually back-up bookmarks and other settings for a specific profile. 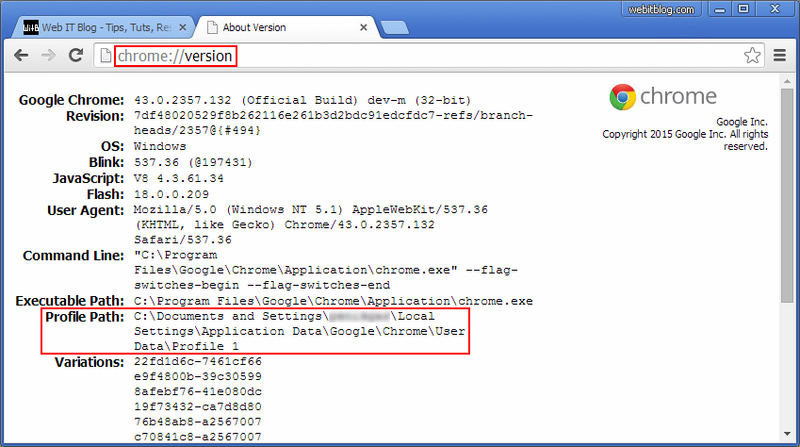 I hope that this article helped you to understand how to find the user folder for a specific Chrome Profile. Feel free to share your thoughts about this article using the comments section below or catch us on Twitter. During 1980s, an IBM computer was not considered to be 100% compatible if it could not run Microsoft Flight Simulator.